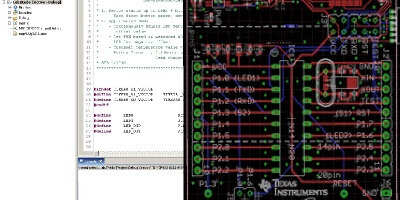 This reference design demonstrates using the SimpleLink™ MSP432™ software development kit (SDK) with the SimpleLink MSP432™ MCU, SimpleLink Bluetooth® low energy CC2650MODA network processor, and MSP430FR2633 MCU with CapTIvate™ technology in an access control panel application. It allows users to control access with smartphones over Bluetooth low energy or with a keypad using capacitive sensing. This design is optimized for extended battery life. Features CC2650MODA for Bluetooth low energy connectivity. 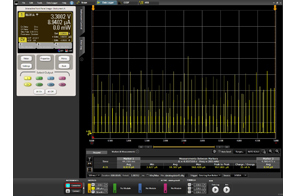 Optimized for low power through architecture and low-power peripherals of MSP432, CC2650MODA and MSP430FR2633. Features capacitive touch panel using CapTIvate technology. 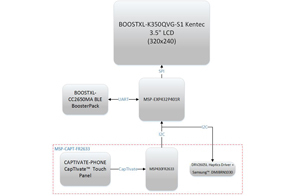 Proximity sensing through CapTIvate technology enables low-power display. Leverage LaunchPad™ development ecosystem for easy out-of-box experience.